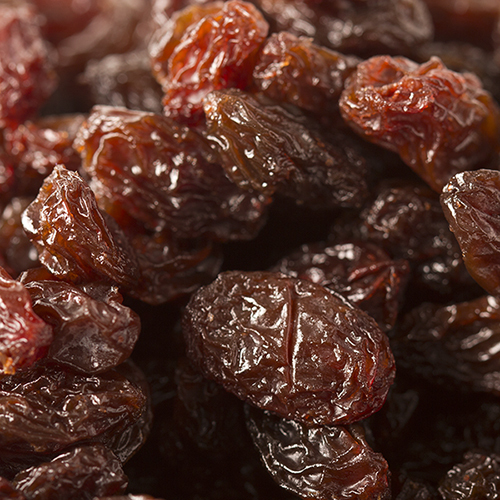 Moist, plump dark raisins enrobed with rich, creamy milk chocolate. 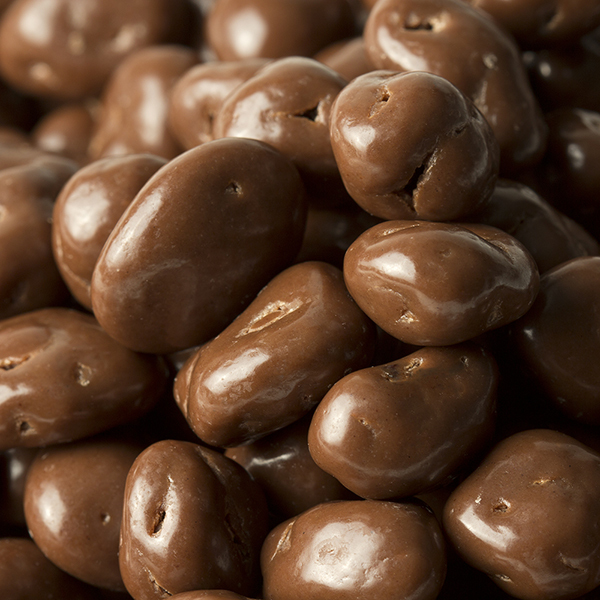 Moist, plump dark raisins enrobed with rich, creamy milk chocolate. The classic combination that creates a luscious chocolate and fruit taste sensation that is deliciously addictive. NUTRITION FACTS: Serv. Size: About 1/4 cup(40g). Servings: About 6. Amount Per Serving: Calories 200, Fat Cal. 70, Total Fat 8g (12% DV), Sat. Fat 4.5g (23% DV), Trans Fat 0g, Cholest. 5mg (1% DV), Sodium 30mg (1% DV), Total Carb. 27g (9% DV), Dietary Fiber 2g (8% DV), Sugars 26g, Protein 3g, Calcium (2% DV), Iron (4% DV). Not a significant source of Vitamin A or Vitamin C. Percent Daily Values (DV) are based on a 2,000 calorie diet. INGREDIENTS: MILK CHOCOLATE (SUGAR, COCOA BUTTER, DRY WHOLE MILK, CHOCOLATE LIQUOR, LECITHIN, SALT, VANILLIN), RAISINS, CONFECTIONER'S GLAZE. I have purchased nuts,chocolates and dried fruit from Fastachi's often and always find them to be an excellent product and well received.